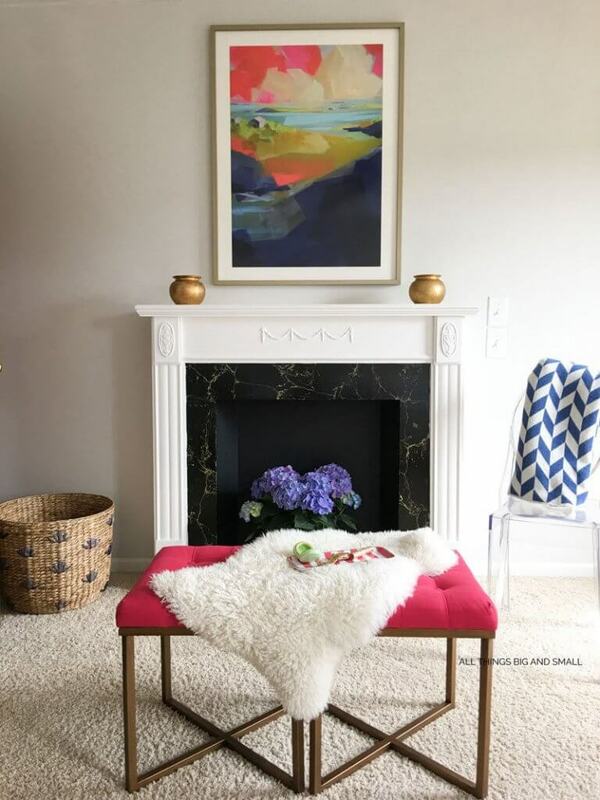 You are here: Home / Uncategorized / 13 Stunning DIY Fake Fireplace Ideas to Make Now! 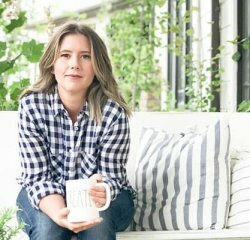 Have you imagined sitting next to a cozy fireplace in your home, reading a good book, snuggled up with a blanket and hot cocoa only to find out that you have no fireplace…and putting a real one in would just about break your bank account? Yes, I have had that vision many times in my life and that is why when we build our house I was adamant that we have a fireplace built. Then I realized I wanted one in my bedroom….and it was too late…Well, why not put in a faux fireplace? Believe it or not, they are actually quite easy and often very inexpensive. 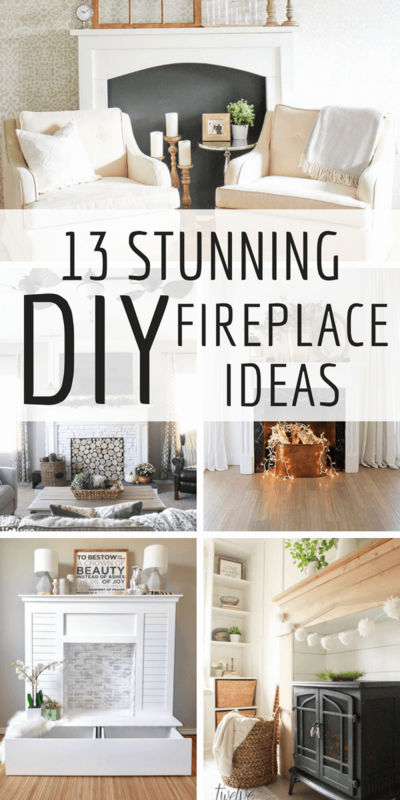 What if I told you I had 13 stunning DIY fake fireplace ideas you will want in your home today! You will not believe the amount of possibilities that there are when you decide to create a fake fireplace in your home. Keep on reading to see some of the most swoon worthy DIY faux fireplace ideas I have ever seen. You will question whether or not they are real! And you will want to snuggle up to every one of them. Sadly, having a real fireplace is often hard to come by, and it can be very expensive to install a real one in a home. Often times, certain areas do not allow real fireplaces to be used. Don’t let that discourage you from getting one though! I had wanted a real fireplace in my bedroom for along time. It is the coldest room in the house and the other fireplaces just don’t heat it well. Being one that dislikes using our furnace for a multitude of reasons(it makes me feel claustrophobic, I like radiant heat better, its expensive, I just don’t like it), I knew I needed to find another way to create a fireplace in my bedroom. That is when I thought about creating a fake fireplace. I know you may be thinking of those store bought mantel/fireplace with the fake flame and all that jazz. No. if that is your jam then that is great! But, that is not what I wanted. 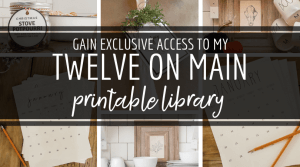 I wanted something unique and cozy, with a touch or rustic farmhouse flare. You can create a DIY faux fireplace in many different ways with so many different options. Maybe you just want the look of a fireplace so that you have a focal point for your living room or bedroom. Whatever your reasons for wanting a fake fireplace in your home, you can do it! There are so many options available for purchase, including pre-made mantles, etc. 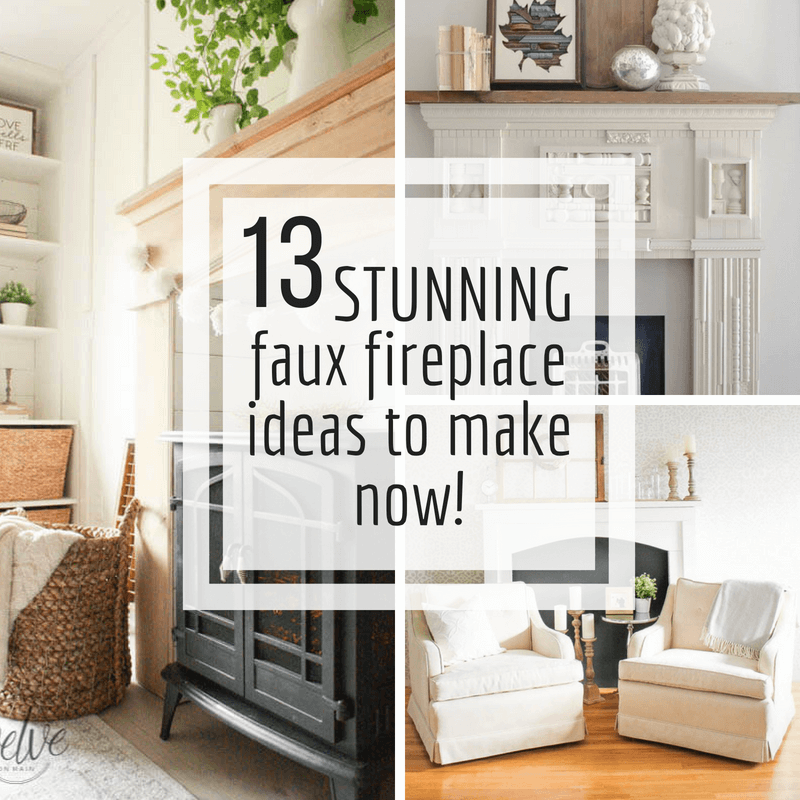 In order to help you get some inspiration for whatever it is you are looking to create with your fireplace and mantel, I have rounded up some of my most favorite DIY faux fireplace ideas for you to look through. Most of these DIY faux fireplace ideas have full tutorials on how they built them, so make sure to click on the link to see more of the projects. We built this fake fireplace surround over a weekend, and I knew exactly what I wanted. I was inspired by old fireplaces with freestanding stoves set inside the opening of the fireplace and mantel. I also wanted it so have some rustic farmhouse flare. CLICK HERE to see the full project and tutorial. 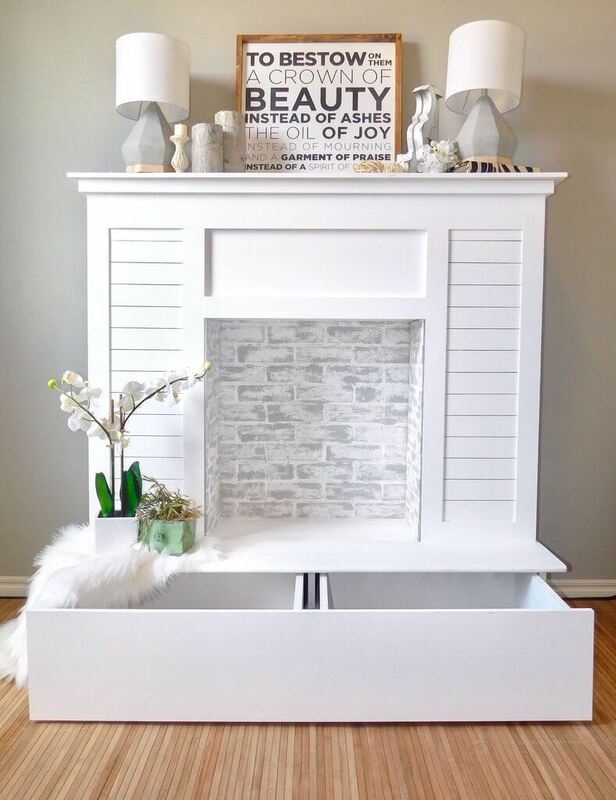 If you are looking for a great fireplace that is a beautiful focal point, check out this one from Lauren at Bless’er House. Isn’t this space gorgeous? 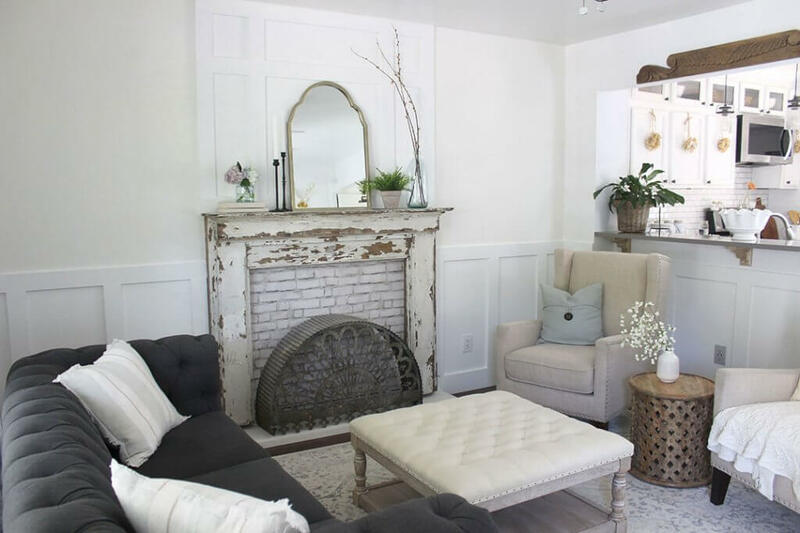 I love the white washed stacked stone and the shiplap behind the television. It has real purpose and makes a huge statement. The logs in the faux fireplace surround add a bit of an organic feel and the design the offer is excellent as well. You can see exactly how they created it if you check out here website. What about this faux fireplace mantel from The Honeycomb Home? I just love what adding a fireplace does to a room. It give the room a focal point and adds so much style. 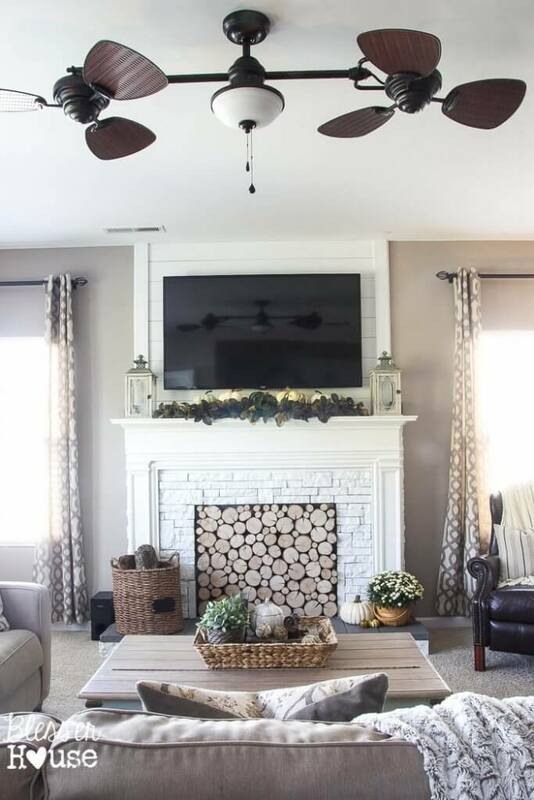 This cheap faux fireplace complete with a chippy white mantel, a brick insert, and board and batten allows it to shine and really give the space a cozy feel. 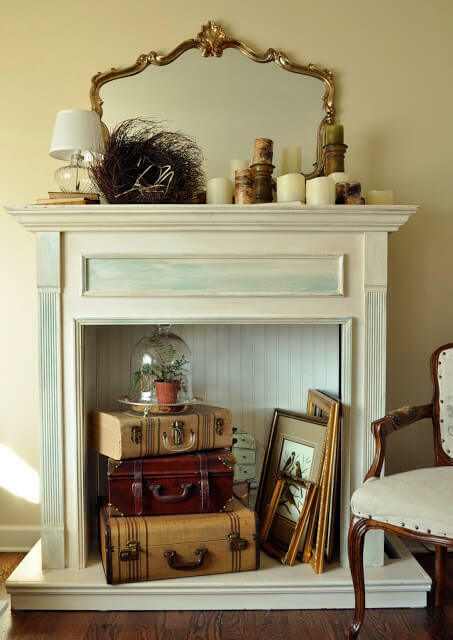 Now, how about this faux fireplace insert ideas from DIY Decor Mom for a more vintage look. The moldings are a bit more traditional and the dark marble is the perfect accent. This space instantly feels more inviting. 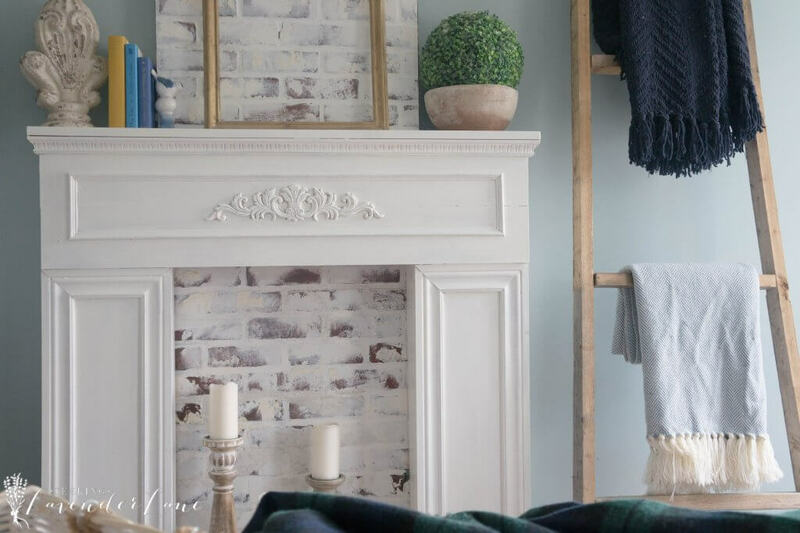 Now, I am absolutely obsessed with this DIY faux fireplace from The Handmade Haven. 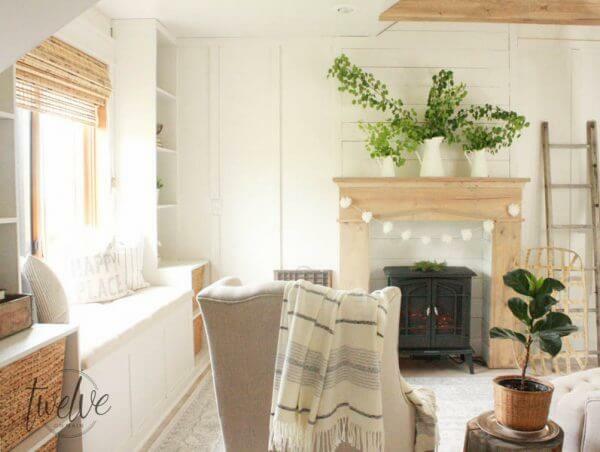 This fake fireplace is complete with shiplap, and tons of storage! This is a genius idea! Love every little bit of it and kind of wish I would have added storage in mine! This fake fireplace is anything but fake! You could customize this style of fireplace and way you want and create just the right piece for your home. The brick insert is lovely but would work with other finishes as well. And imagine dressing it up each season with something special. This next one is so special too! 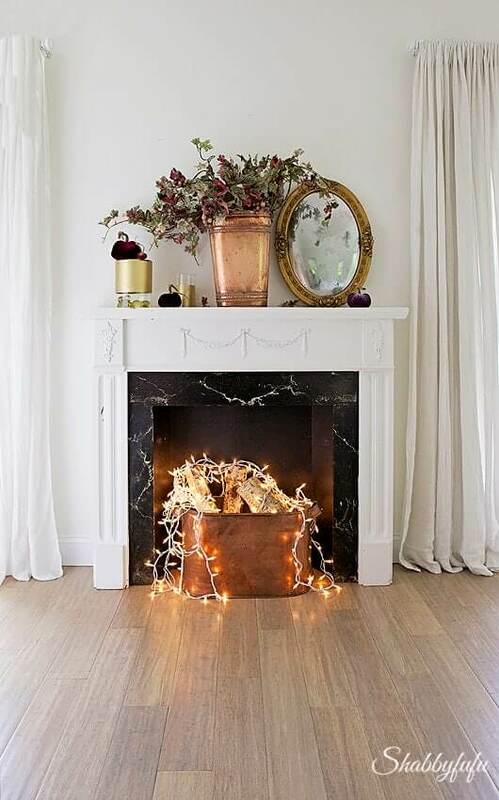 This fake fireplace by Jennifer Rizzo and mantel is so pretty. I love that she said “if you build it, he will come” when talking about Santa coming after they built this fireplace before Christmas. It is the perfect place to hang stockings and sit and sip some hot cider. This just shows that there are so many wonderful ways to create a fake fireplace that doesn’t look fake! I love this fireplace….and the next thing I want to show you is just so frickin adorable…. I think that this faux fire insert idea, also done by Jennifer Rizzo. is so very cute! I mean, talk about being super crafty and creative. I mean, how can you not love this fireplace! This yard fire is so whimsical, and such a fun and unique way to bring character to a fake fireplace. Check out here full tutorial on how she did it. Next, here is another beautiful example of a DIY fake fireplace surround being jazzed up in all its glory for the holidays. 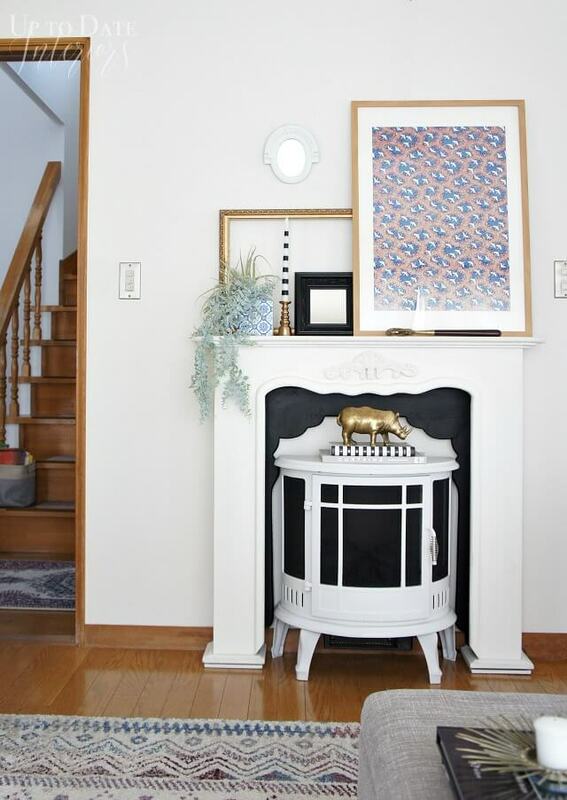 I love this fake fireplace from Shabbyfufu blog and it is very similar to another one in this post. But the birch logs in the insert and all the lush colorful foliage on the mantel really bring the whole thing to life. Next is a really great Genevieve Gorder inspired DIY faux fireplace mantel by Up to Date Interiors. This next one is the perfect example of why and how simple can be best! This fake fireplace by Kristi at Making it in the Mountains is actually the one that inspired me to create my own for my master bedroom. I will say that ours are both totally different, but it want until I saw hers that I realized that I could, in fact, have a fireplace and mantel in my room, even if I could not have a real fireplace. 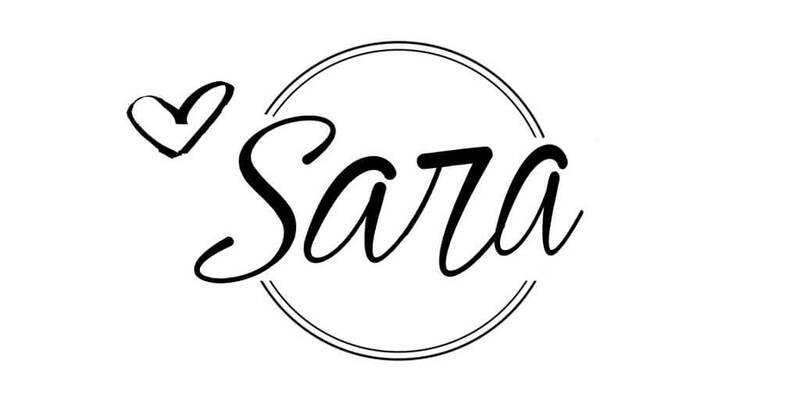 There is something so lovely about keeping things simple and letting the lines and design take center stage. 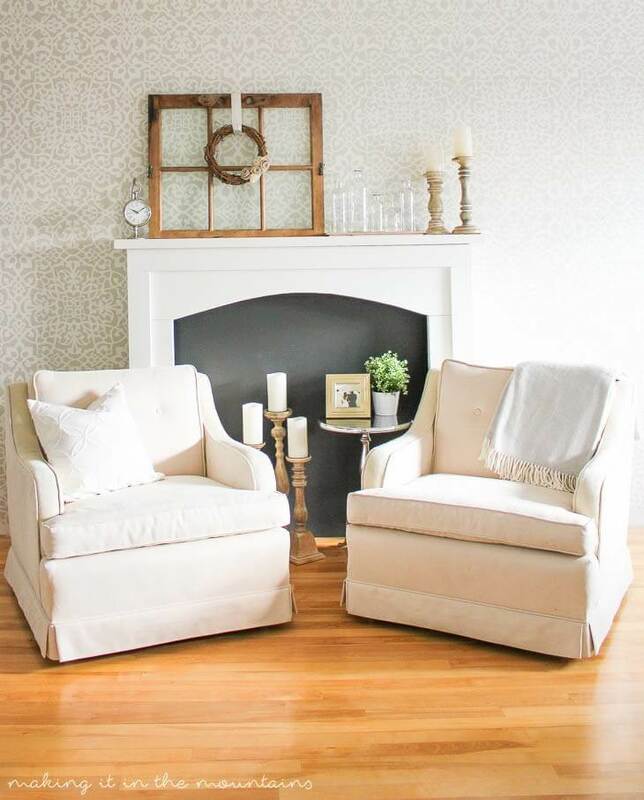 I love this DIY fireplace and love the added character it gives this room. You really need to go check out more to see what I am talking about. 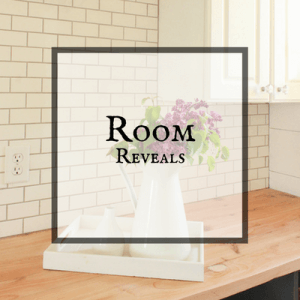 More stunning DIY faux fireplace ideas…. Now, lets talk about a total different approach, but so amazing! 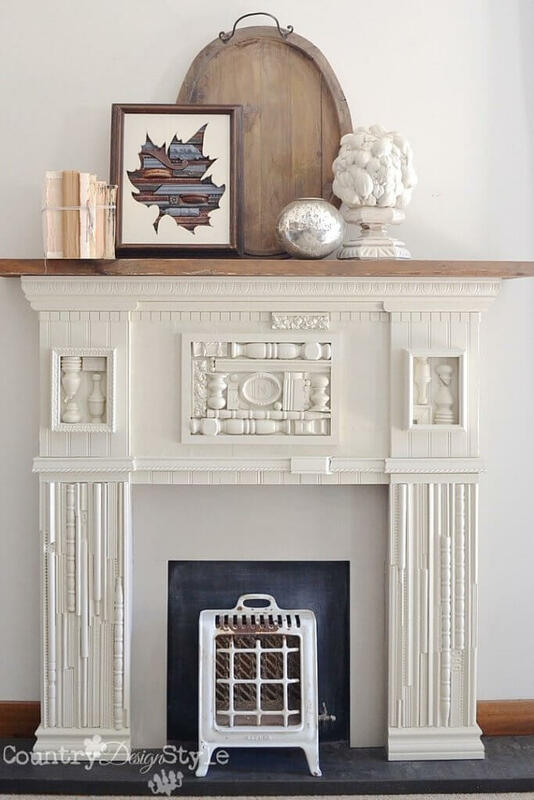 This scrap wood fake fireplace by Country Design Style is so very cool! 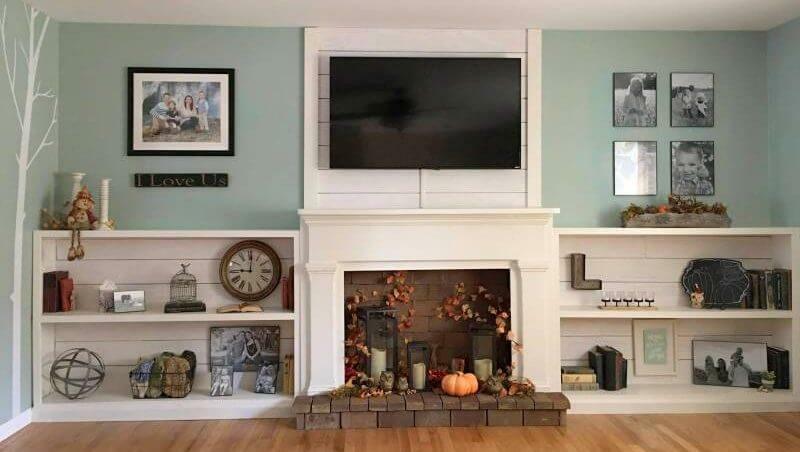 I don’t even know where to begin with this DIY faux fireplace. I am speechless. The usage of scrap pieces of wood to create the designs on the mantel and column of the fireplace is what takes this faux fireplace surround to the next level! Its gorgeous! And it is so unique that nobody will have anything like this. I love love love it! 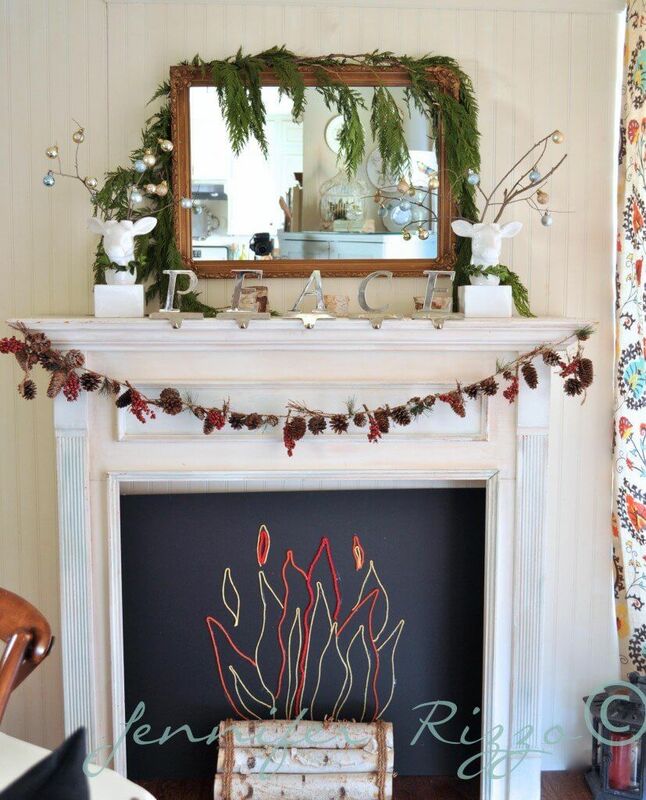 One more faux fireplace that I love is by my friend Deb at Seeking Lavender Lane. This a a sweet fireplace and I love the trim detail on the columns and the faux brick fireplace insert is a timeless look. Definitely one you need to see! Now, this next one by All Things With Purpose takes a fake fireplace to the next level with shelves flanking either sides of the fireplace. What a great space! I love these shelves and the way they look flanking the faux fireplace. It gives the places to display items as well as balance out the fireplace. Can you imagine all the ways you could decorate this space? Gosh, so much fun! As you can see creating a faux fireplace mantel, insert, and surround can be an excellent way to add instant charm to a room. I have considered adding one to my dining room….what do you think about that? I think that I will not be able to stop myself from such an adventure. I mean, can you imagine sitting at the dining table, with the Christmas stocking hung on the dining room mantel, while the freestanding stove blows our some warm air as you eat? I now think I cannot eat there until it is done. Each one of these DIY faux fireplace ideas that I have featured today have their own individuality and unique charm. There are so many possibilities to what you could do and I hope that these ideas inspired you in some way. 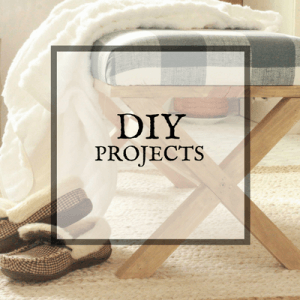 Right now is the perfect time to get a project like this done so that you can enjoy it during the winter months! Not to mention, you could have a pretty sweet place to hang those stockings! Another great thing about most of these DIY faux fireplace ideas is that they are not permanent! This means you can possibly move them if needed or if you move and want to take it with. Or, maybe you decide you need it on a different wall. Much easier to move a faux fireplace than to move a real one! 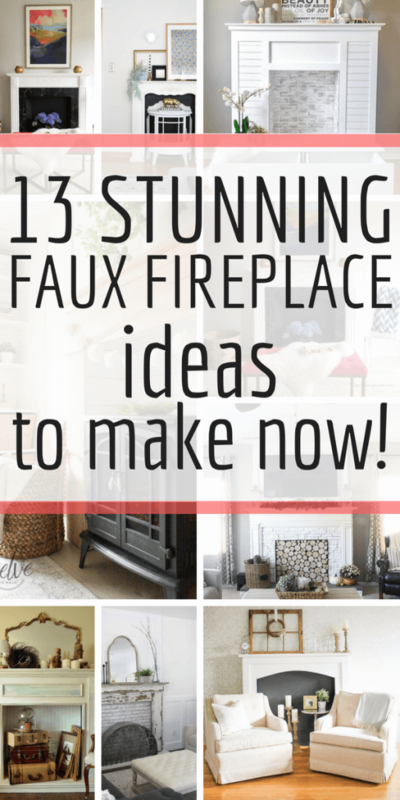 I hope that all of these faux fireplace ideas gave you some inspiration that you can use to create one for your home. Sometimes it is as easy as buying a premade mantel, adding a cute faux fireplace insert and there you go. Where you take it is up to you but the possibilities are endless and I think that all these ideas are perfect. I hope you enjoyed this post, and I hope that maybe you will want to create a fake fireplace in your home!